rem: Hullo Dawn! Welcome to my little nest. Tell us a little about yourself. Where were you raised? Where do you live now? DAWN: I grew up in a small rural town in Wisconsin called Prairie Farm—population of around 550 people. My parents and grandparents were also raised in the town or nearby farms, so I was third generation. The setting and some of the characters in my historical romances (The Daughters of Riverton series) were inspired by the community. After graduating with a major in biology and a minor in chemistry, I married and lived in the Minneapolis area for fifteen years before moving to the Seattle area over twenty years ago. I love living in the Pacific Northwest because I have access to both the mountains and the ocean. rem: I love the ocean but I really love the mountains!! Tell us three things about yourself. DAWN: I have two grown daughters and a grown stepdaughter. I adore my three grandchildren—one boy, two girls. I’m a fan of Masterpiece Theatre. rem: Ain’t nothing like those grand babies!! ❤ (and I also love Masterpiece Theatre.) What do you do as a hobby? DAWN: It’s a seasonal hobby, but I enjoy working in the yard. Although we’ve tried to use quite a few perennials, each spring I fill gardens, pots, baskets, and window boxes with an assortment of colorful annual flowers. rem: I used to. Used to have dozens of houseplants. Then I moved and lost heart for it… Your movie snack of choice? DAWN: I don’t have to give that question a second thought. I’m a popcorn fanatic. I could eat it every day, but I’ve worked hard on moving away from that habit. rem: Ooohhh, love me some good buttery popcorn! If you could go back in time, what era would you choose and why? 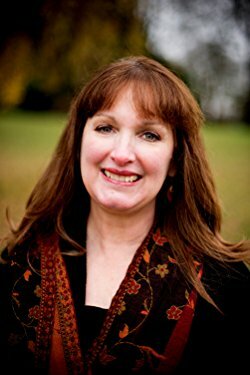 DAWN: I think it would be amazing to visit a number of time periods, but because my stories are set in the early 1900s, I think it would be really helpful for me to experience firsthand how people lived then. rem: Now that just makes sense! Adventure AND research! What is the first thing you notice about people? DAWN: I first notice people’s eyes. I can tell a lot about a person by what I see there, as well as if they’re willing to keep eye contact with me. Not that I want a stare down, but if people continually look away, I’m clued in to what they’re thinking or feeling at the moment. rem: Eye contact is very telling indeed—and very vulnerable… Favorite season? Why? DAWN: Fall is by far my favorite. I enjoy the cool air, the changing colors, walking through piles of crisp leaves, and the smells. The season makes me think of bonfires, apple orchards, hot cider, and fruit pies. I cling to that truth during times of crisis, uncertainty, and loss. It keeps me going when I can’t see beyond today. rem: Ya, sometimes our own plans just flop, but He’s always got us, doesn’t He? What do you think is significant about Christian fiction? How has being a novelist impacted your relationship with Christ? DAWN: I write Christian fiction because I believe in the power of story to comfort, challenge, teach, and inspire. (rem: emphasis mine) I think there’s a little bit of us in the characters we write about. So, as they face challenges and work through their own past or present hurts or spiritual issues, we’re given opportunities to work through our own. At the same time, in order to write stories that have a chance to impact lives, we need to walk in close relationship with Christ and allow him and the Holy Spirit to work through us. rem: I see more of myself in my characters with each one I write. When reading, what makes or breaks a story for you? Your fiction pet peeve? DAWN: I have a difficult time reading anything that’s too sweet and easy. I avoid stories that lack conflict or real-life situations. rem: Right, just no substance to them. Which is more important: plot or characters? DAWN: They’re equal in importance for me. rem: Agreed. What would you do if you weren’t writing? DAWN: When I’m not writing, I’m editing for other authors. But if I were step out from the publishing umbrella, I’d probably gravitate toward working for some kind of ministry or community outreach. I’ve been involved in both in various degrees during my life. DAWN: I’m just starting the novel When Angels Cry by MaryLu Tyndall. rem: That’s a new one to me, will have to check it out. What do you munch on while you write? DAWN: I don’t think about eating while writing, but I may grab a piece a dark chocolate, and there’s always coffee or flavored water nearby. rem: Well, yeah, coffee is a given—and dark chocolate, excellent choice. Tell us a little about your writing journey. DAWN: I’ve written stories since I was a child, I was the editor for my high school newspaper, and I had a short story published in my college newspaper. But, I didn’t get serious about writing professionally until twelve years ago. After co-writing three full-length plays for my church drama group, I realized that writing filled a void that nothing else had. (rem: again me) At that point, I discovered American Christian Fiction Writers, and that organization gave me opportunities to connect with other writers online, through local groups, conferences, etc. I started blogging, meeting with a local critique group, and submitting manuscripts to agents and publishers. Although some of my articles, devotions, and short stories were published—and my novels generated interest—my full-length manuscripts were not picked up by traditional publishers. So, after my husband and I prayed about it for some time, I was led to indie publish. Now I have two books available for readers, and I’m working on the third in the series. rem: A fellow writer of plays, eh? How long have you been a member of the Seriously Write team? DAWN: Annette Irby and I created Seriously Write in June 2009. Since then, the number of people involved on our staff has grown. rem: Well Happy Blogaversary! (I had no idea) What do you like best about Seriously Write blog? DAWN: Our mission has always been to encourage and support Christian writers. I think we do a great job of providing helpful tips pertaining to writing and the publishing industry. But, I think I’m most proud that Seriously Write has also become a place where people have found it safe to be vulnerable with the struggles that come with this career—as well as what they deal with in their personal lives. rem: As a faithful follower of your blog, I can say you do and do it well. How often do you post on the blog? DAWN: It really varies. I’m responsible for content every Friday, but regular contributors cover two of those days each month. I try to give other authors opportunities to share their personal journeys to publication or encouragement the other days. I format and schedule all posts, and I fill in with articles of my own here and there. rem: Ah yes, the “Blog-keeping!” What is your Writing Routine? Where do you write: In a cave, a coffeehouse, or a cozy nook? DAWN: I have a difficult time writing early in the morning, so I take care of editing for clients, social media, e-mail, and other business-related things first thing. Later in the day, I go to a quiet place in my house to write—away from my office. rem: A fellow writer not of the morning! I do it “backwards” too. LOL What makes you struggle as an author? How do you handle it? DAWN: I struggle with wanting to do it all—social media, marketing, meeting word count goals, etc.—and feeling like I never have enough time to do it all and still “be there” for family and friends. The only way I can handle it is to remind myself that people need to come first before my career. rem: A very profound reminder. And one I believe Father honors. Do you prefer the creating or editing aspect of writing? Why? DAWN: I prefer editing my stories after I have the rough drafts down. I like the process of fine tuning and making what’s there better. DAWN: I have a need to be creative. It’s in my DNA. (rem: yep, me again) Creating something out of nothing—and hopefully something that is meaningful to someone else—is extremely rewarding. rem: I believe the words Father gives us are always meaningful to someone, somewhere. What was the hardest thing about publishing? The easiest? DAWN: The hardest thing is getting your work noticed when there is so much competition for people’s time and money. I can’t think of anything that’s easy about publishing. rem: uh, ya, I noticed that… What are your top 3 recommendations for a new writer? What 3 things would recommend not doing? DAWN: My recommendations are: join a critique group of honest (but kind) writers who know the craft or are willing to learn with you, enjoy the journey (you’ll meet awesome people along the way), and do what’s right for you. For some that means pursuing traditional publishing, for some that means indie publishing, and for others, it means doing a mix of both. Three things I wouldn’t recommend are: submitting your work to an agent or publisher until you’re confident it’s ready, comparing yourself and successes (or lack of) to someone else, giving up when you feel discouraged. rem: Yes, I certainly have met some amazing peeps—present company noted! How do you choose your characters’ names? DAWN: Because I’m currently writing historical romances, I need to make sure the names fit the time period. So, I research names that would have been given to children the year my characters would have been born, and then I pick from that list what feels best. rem: I love doing my research, names and the rest of it. Do you think of the entire story before you start writing? DAWN: I like a road map of where my story is going, and I want to make sure there’s a strong plot and enough internal and external conflict for my characters to overcome. So, I outline the entire story before I start writing, but I leave room for additional ideas and changes as the story and characters develop along the way. rem: So, not a pantzer, eh? Tell us a little about your latest book? What is your current project? 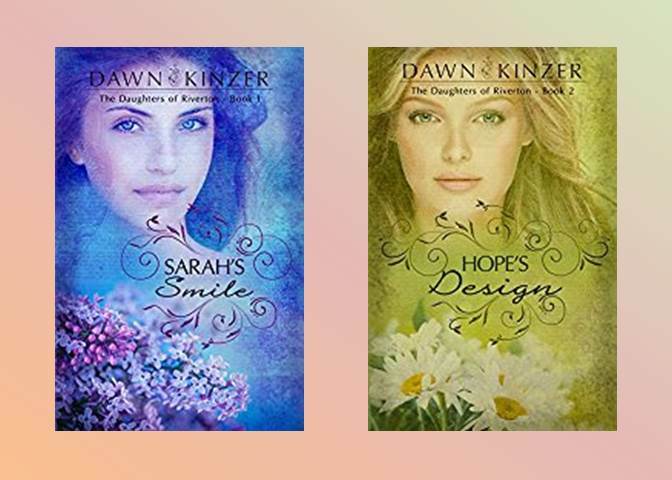 DAWN: My latest release is Hope’s Design, Book 2 in The Daughters of Riverton series. An independent city girl aspiring to be a fashion designer falls for a stubborn artist from the country who wants to keep his talent a secret. I’m currently working on Rebecca’s Song, which is Book 3 in The Daughters of Riverton series. DAWN: Hope’s Design is a romance, but it’s also a story about following our dreams and what it means to be accountable for our God-given gifts. I love it because even though the story takes place during a time when women weren’t given many options for careers, Hope Andrews is still determined to follow her dreams, even though the journey is often discouraging. The book will draw you into the lives of the people in Riverton (a small Wisconsin farming town in the early 1900s) and make you feel a part of that community. It will also encourage you to explore what it means to follow your own dreams. rem: I love stories about following dreams—for so many years I didn’t… Tell us about why you wrote this book. DAWN: I wrote this story because I believe so strongly in encouraging others—especially women and young girls—to pursue their passions, despite the challenges. rem: Please give us the first page of the book. The end of her long journey—almost. The railroad didn’t reach her final destination—the small country town of Riverton, Wisconsin. From what she remembered, with a population of over two thousand, Martindale was four times the size of Riverton. Hope Andrews peered out the window at people on the platform saying farewell to passengers boarding the train. An elderly couple wiped tears from their eyes after giving a young man one last hug. He stiffened, as though embarrassed by their outward signs of affection, then softened and embraced the gray-haired lady before planting a kiss on her cheek. One woman, wearing a faded dress and holding the hand of a little boy dressed in stained trousers, seemed to search the car’s windows for a passenger. Her face lit up in recognition, and she waved frantically. Was she saying good-bye to a husband leaving home in search of work? That man—talking to a porter. Despite the thick, hot air in the train car, Hope shivered. Similar build, hair color, and taste in clothes, but it couldn’t be Henry. No one would divulge she’d traveled to the Midwest. The stranger turned his face, giving Hope full view. Her shoulders relaxed, and she sighed in relief. Shame on her for letting even an imaginary Henry Shelton affect her—their relationship had been over for months. A whistle blew, and the train inched forward. Cornfields and grazing cows would fill a portion of her scenery for the next year, maybe two. Quite a change from New York City, but for now, what alternative did she have? Because of Henry, she’d given up her home, her friends, and possibly any chance of becoming a real fashion designer. rem: I’m intrigued—guess I better get caught up with the first one already… What is one take-away from your book(s) that you hope readers identify with? DAWN: Dreams can come true. DAWN: Thanks, Robin, for having me as a guest! rem: And thank you so much for chatting with us at my little nest today! Great interview, Dawn and Robin! I’m learning lots of things about my own sweet friends! Angie, i’m loving having you gals! !